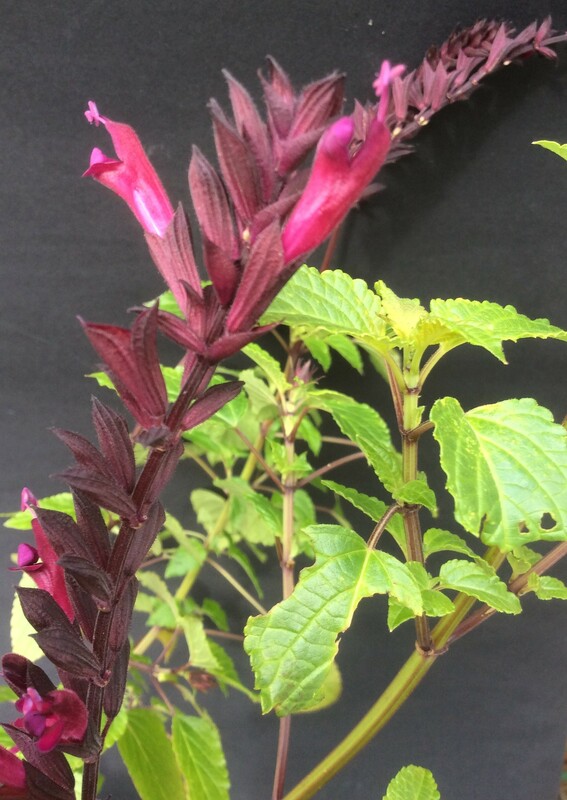 ‘Petardo’ is an Australian hybrid salvia similar to ‘Firecracker’. Parents are purple splendens and hirtella. It has only been released a few years so we don’t have feedback from a lot of different climates as yet. It is evergreen to around a metre, maybe a little more, and seems to like heat. Cuttings are very easy so it could be good to put a couple in for insurance.